GREENSBURG, Pa. -- A Pennsylvania middle school canceled classes after a sleepwalking student was found inside the building. State police say the seventh-grade student called 911 around 2:30 a.m. Wednesday to report he was inside Wendover Middle School in Hempfield Township. The student told authorities he had been sleepwalking and woke up inside the school. Police say the student entered the school through a window and wandered around for about 15 minutes. Police say the student lives about four miles from the school. 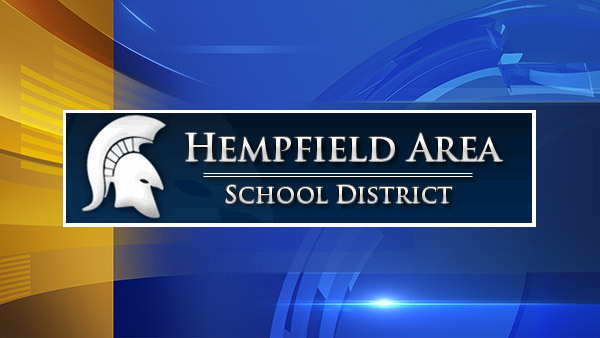 The Hempfield Area School District cancelled classes Wednesday due to security concerns, and police swept the building. The district says Wednesday's incident is not connected to another student's arrest earlier this week for allegedly threatening to shoot a female student. Classes were scheduled to resume Thursday. The PA State Police have cleared Wendover Middle School to re-open tomorrow. There were no signs of vandalism or theft as a result of the seventh grade student who forcibly entered the school in the early hours of February 21, 2018. The student's purpose for entering the school is still under investigation. Student discipline is a confidential matter and cannot be shared. In light of the recent events, an added police presence will be at Wendover Middle School tomorrow and counselors will be available to talk with students regarding school violence and safety, as needed. Additionally, the PA State Police have indicated that they are striving to have an added presence at all district schools. This provides an opportunity for students to see law enforcement within the schools and to promote a sense of safety. Safety is a priority and we will continue to review and improve our practices in this regard. Tammy W. Wolicki, Ed. D.